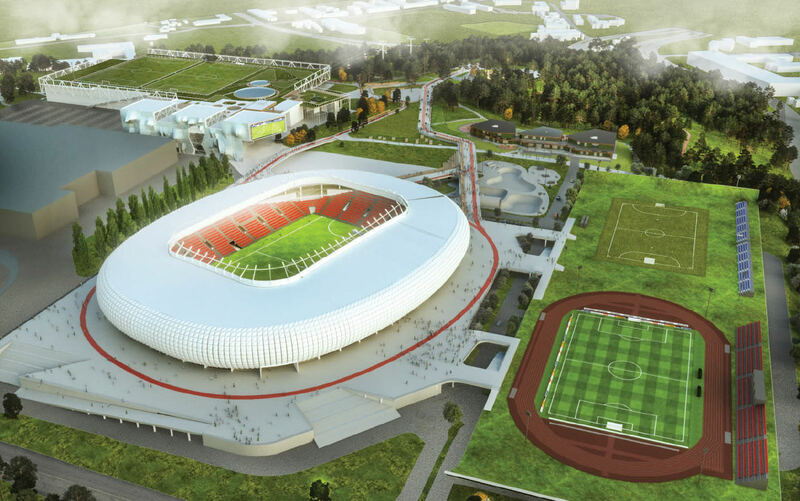 The concept was prepared by Vilniaus Nacionalinis Stadionas consortium, one of two bidders to develop and operate the new national sports complex in Vilnius, replacing the unfinished old national stadium beside Akropolis (shopping centre). The abandoned concrete skeleton would be crushed and recycled as building material, partly also planned to make souvenirs of the notorious project. 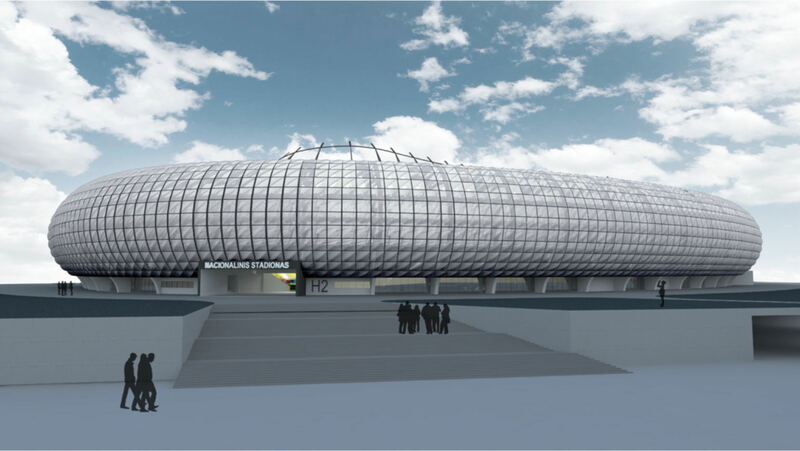 This vision, developed in cooperation with Amsterdam ArenA, envisions a main stadium for 16,777 people covered in membrane mesh and translucent roof, becoming lightweight and airy for the visitor. 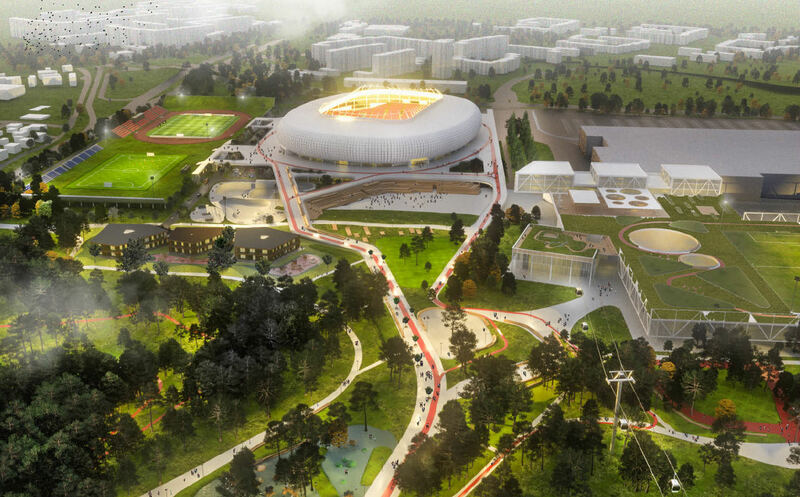 Beside the main stadium two secondary stadia are planned (with and without a running track), as well as a series of outdoor sports fields and a skate park. 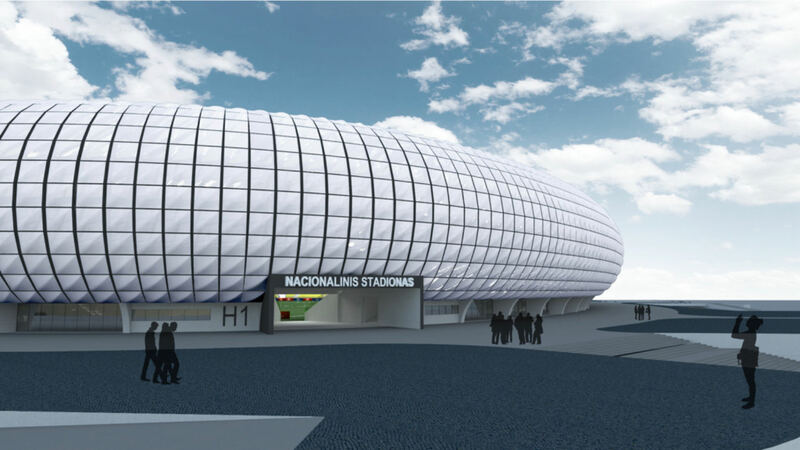 Educational facilities, library and sports museum are also part of the complex, which would – in total – cost €77.8 million, of which €33.6 million would go for the stadium itself. 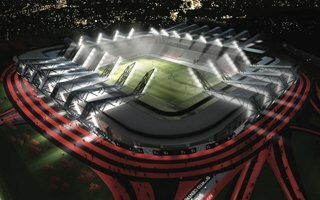 The complex is to be built by a private investor, who would later operate it for over 2 decades. 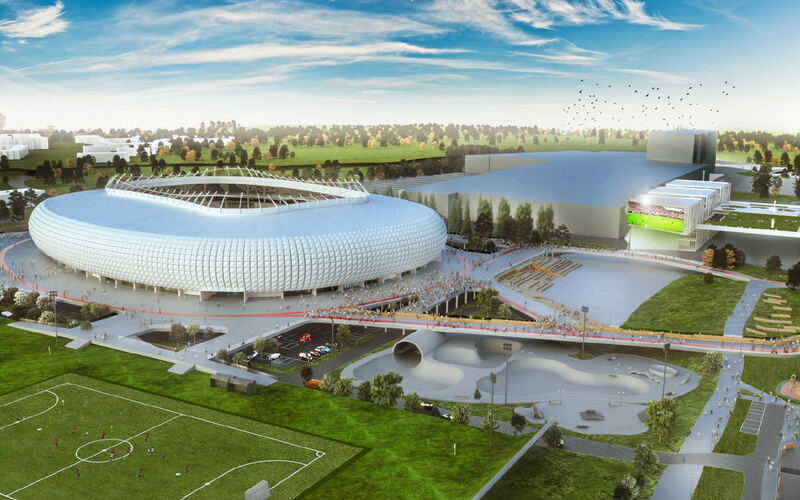 27.03.2018 Lithuania: Can Vilnius get the long-overdue stadium?